Make sure your tiling project’s joints and seals stand up to everyday wear and tear with Mapesil, an acetic-crosslinking silicone sealant from the world’s leading manufacturer of tiling grout, adhesives and sealing products, Mapei. Suitable for sealing expansion joints of ± 25% expansion of the initial size. 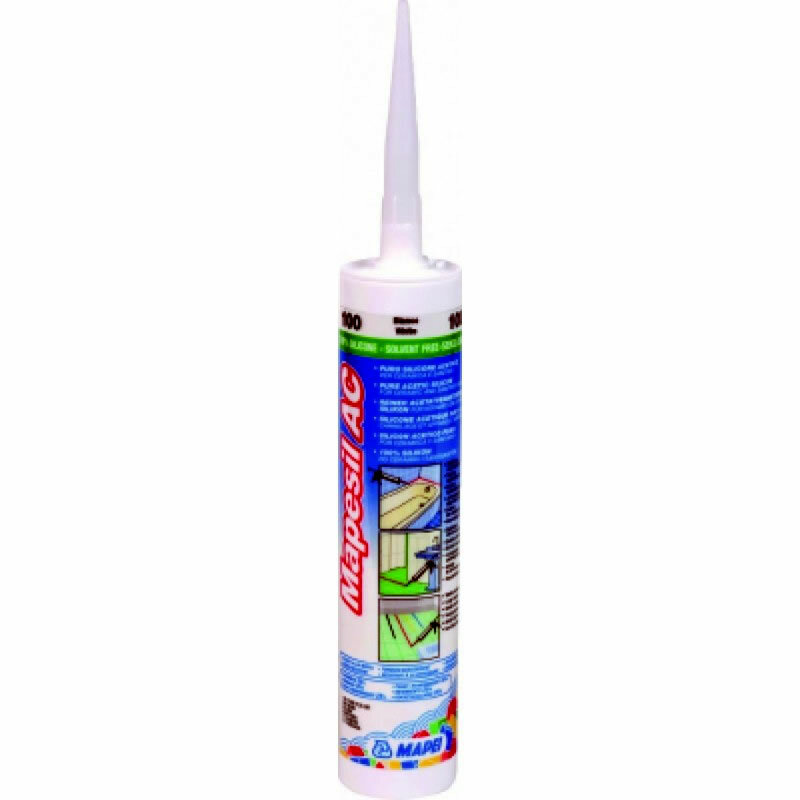 Mapesil AC is an acetic-crosslinking silicone sealant suitable for sealing glass, ceramic and anodised aluminium. Ideal for sealing joints in wall and floor coverings of ceramic and cement, (provided they are not subject to heavy abrasion), joints between sinks or sanitary ware, and ceramic tiles in kitchens, bathrooms and showers. Easily colour-matched to Mapei Ultracolour grout, Mapesil AC sealant enables you to create a uniform aesthetic between walls and floors without the need for unsightly grout and sealant lines. Providing that a bonding enhancer such as Primer FD has been applied, Mapesil can also be used on concrete, wood, metal, painted surfaces, plastic and rubber.